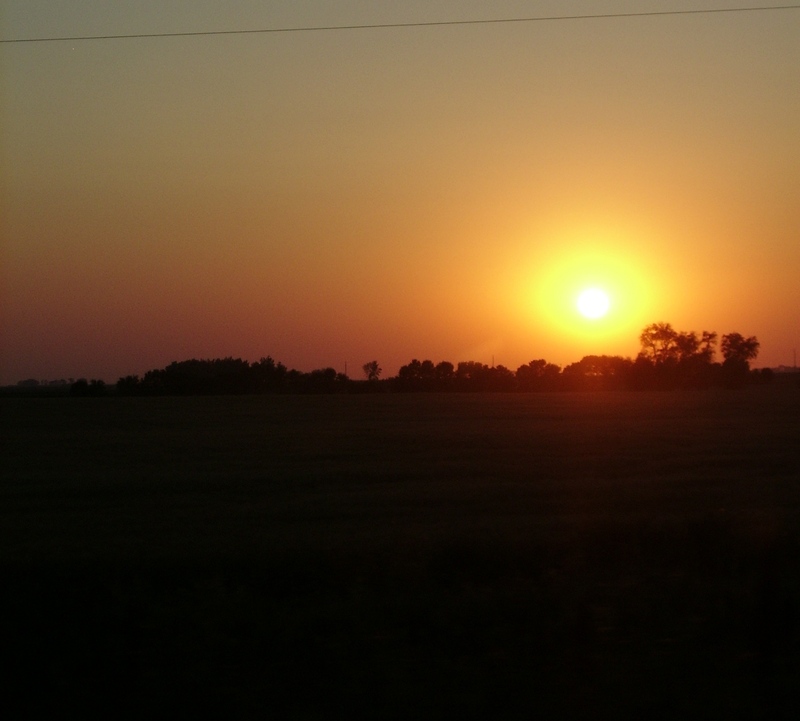 …the sunset in North Dakota. …this time during a storm. 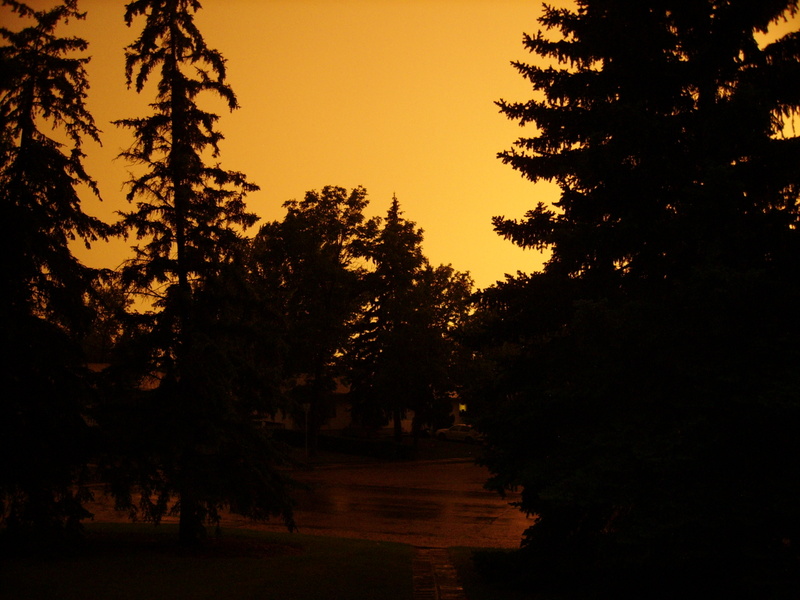 I haven’t quite figured out why the sky was red/orange, as it was still cloudy, still raining, and still storming. I’m sure there is some logical explanation, and now I’m sure I really don’t need to know. All I know is that the view from my front door looked like some exotic place, the sky breathing out the last warmth of the day, and everything else far, far, away. …while finishing the last week of duty as colony coordinator at St. Peter’s Abbey is Fernando Pessoa’s The Book of Disquiet. I’ve really enjoyed meeting everyone and I’m quite pleased with the opportunity to visit the Abbey and Muenster area again for such an extended time. I’m not sure if I produced as much work as I wanted, but I’m happy with my outcome, so far. I still have just under a week to work, so work I will. 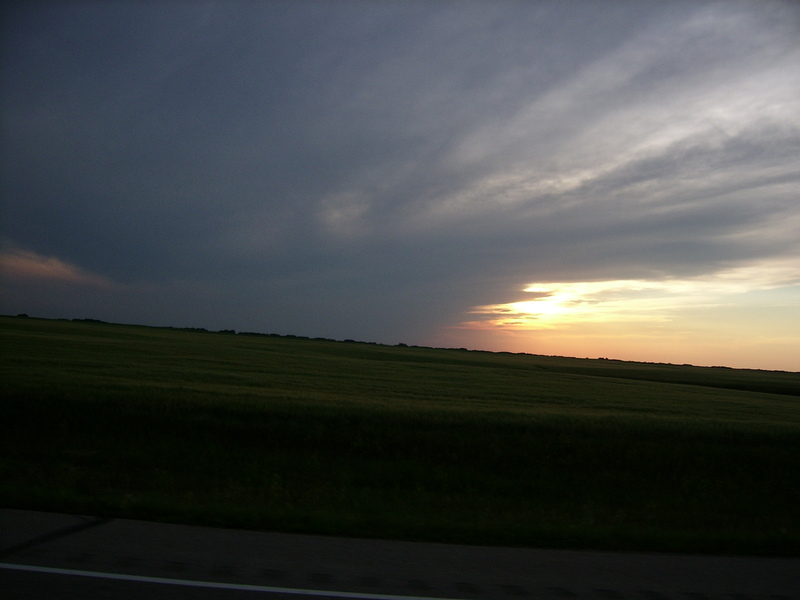 Also, one of the last sunset shots, this was taken on the #6 heading north last week from Regina. Yes, B, I was driving at the time. It couldn’t be helped. It’s an addiction: picturetaking and driving.